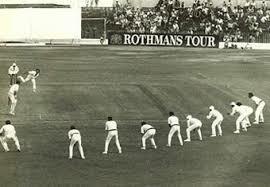 Ashes to Ashes, Dust to Dust… if Lillee don’t get you, then Thommo must! At the risk of being kicked out of Australia, I’m going to confess that I’ve sort of gone off the game of cricket. Summer for a Gladstone boy used to mean: 1. energy sapping humidity which made the short walk to school a sweat-soaked death march, 2. refreshing afternoon thunderstorms, and 3. epic games of Monopoly. Then along came One Day International Cricket, and the Monopoly board was swiftly kicked into the bin. My mates and I lived and breathed cricket! We watched it on tele, listened to games on the radio, read about it, talked about it and sometimes fought about it. I knew every players nicknames, their batting and bowling averages, and what brand of cigarette they smoked. We swapped cards and stickers, played table top Test Match, and in the afternoons, risked heat-stroke playing backyard cricket until it got so dark you couldn’t see the bowler, let alone the ball. But, the honeymoon ended in 1981 when Trevor Chappell was told to play lawn bowls with the Kiwi’s, then when Kim Hughes was named Australian Captain, I simply walked out. There followed a long affair with the Sheffield Shield, with frequent attempts to reignite the passion for International One Day Cricket, but my heart really wasn’t in it. The final straw was my inability to join in the cult worship of Shane Warne. In fact, I actually smiled when someone smacked his bowling all over the paddock; a crime which I believe now attracts the death penalty in India. Today, I couldn’t name three Australian players if my life depended on it. But the door hasn’t completely closed, perhaps one day I’ll click the Friend button on their Facebook page and we’ll start talking again; if only for the sake of the kids. Ever noticed how you can say ‘No’ 156 times and no one hears you, but the moment you say ‘Maybe’ then it’s locked in stone as a firm commitment? “Just turn up and do your best,” instructed Col as he quickly hung up. So last Friday night I turned up at CQU and did my best-ish, and am genuinely grateful to have been part of such an amazing evening. 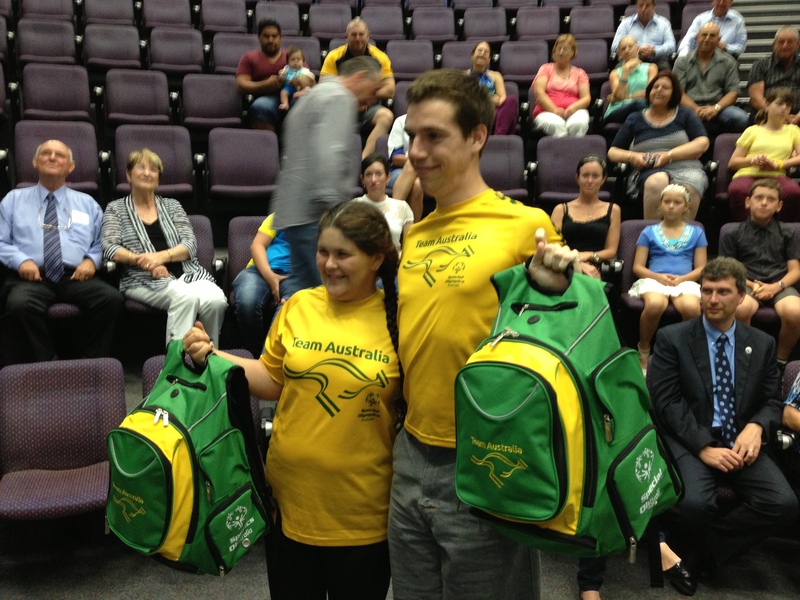 For those of you who missed it, two young athletes, Ruby Lawler and Adam Knuth, were presented with their Australian Swimming Squad uniforms, because next month they’ll be competing at the Special Olympics Asia Pacific Games in Newcastle! Plus I also learned that Adam can swim a lap of the pool faster than I can run it, and that Ruby had come straight from training to the presentation; her pony tails were still wet. These kids have a gut level instinct to Turn Up and Do Their Best. In the meantime I’ll start pestering Col to lead a separate fundraising push; because he simply doesn’t take ‘No’ for an answer. 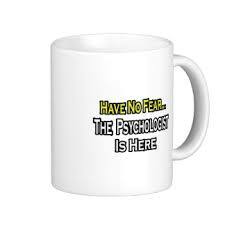 Folks, it’s National Psychology Week, and according to the helpful people at SANE Australia (yep, a real organisation), this year 20% of Aussies will seek professional psychological help. Not me though; I had my turn last year. Nowadays there’s far less stigma about seeing psychologists, which is a good thing, because you’re far better off getting help from a qualified counsellor than asking the barflies at your pub who’ll usually advise you to a) harden up, and, b) shout more rounds, more often. Apparently 45% of us will experience some kind of psychological disorder in our lifetimes, and the great news is that the majority will find themselves back on track in no time at all. Unfortunately too many people still view psychologists as the ambulance at the bottom of the cliff, instead of the safety rail at the top. Well, on the bright side, at least he was listening to me. 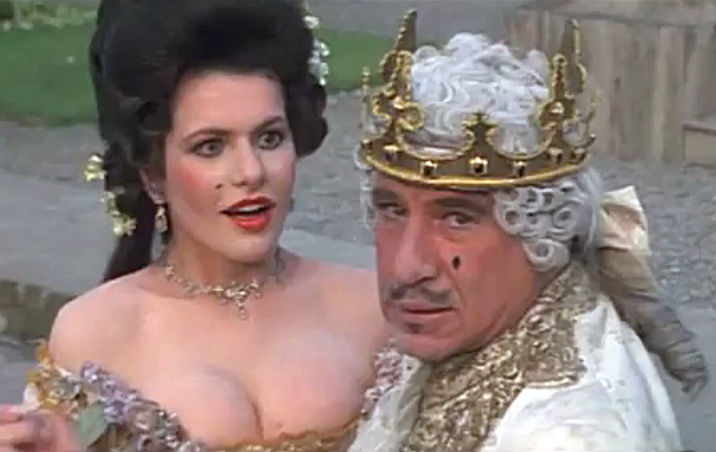 I tell ya, it’s GOOD to the be the King! This Thursday and Saturday night, the first play to be performed in the newly renovated Entertainment Centre is ‘The King and I’. And it’s got everything! Well, nearly everything. Unfortunately my suggestion for a pair of dancing elephants was unanimously voted down by the entire cast during the initial planning meeting. The play tells the story of the relationship between the King of Siam and the English schoolteacher he hires to tutor his numerous children in the ways of the British. Oddly enough, her lessons don’t include any mention of penalty milking, hooliganism, or how to sprinkle brown vinegar onto ones’ cod n’ chips. The Director, Beryl Wood, is a sprightly 79 year old with the energy and drive of a 49 year old. Beryl builds and paints the sets, sews the costumes and has somehow managed to herd the entire circus together for regular rehearsals. Although according to her husband, ‘Woody’, this will be her last big production; just like the last three were supposed to be! Emily Newman is our female lead, Anna, and honestly, she is so amazing that you’d better catch her in this performance before she leaves for bigger and better things. Not only has she memorised several thousand of her own lines and songs, she’s memorised all mine as well, which will no doubt come in handy on opening night. David O’Callaghan, plays the King. A new arrival to our shores, Irish Dave follows in the bare footsteps of Yul Brynner, a Russian born, American actor playing the part of an Asian ruler. Although, for some reason, Dave has ignored my numerous requests to shave his head like the great Yul. The rest of the cast is made up of some seriously talented folk, and me. We’ve got a choir, dancers, a herd of kids, a full backing band, and bucket-loads of enthusiasm to make this a cracker of a show; even without the dancing elephants.